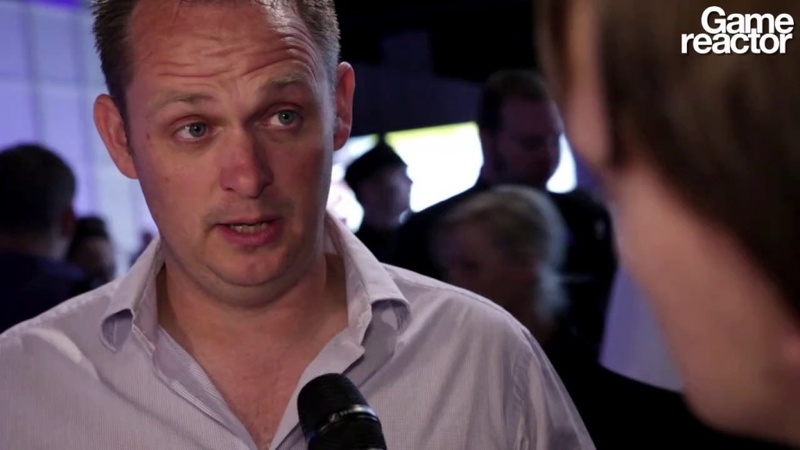 We talk to Nick Channon at Gamescom. At Gamescom this year we caught up with EA Sport's Nick Channon, who told us about a number of new features set to appear in the next instalment of the long-running FIFA series. "What we've got this year, it's working out really well in the game right now is the ability just to start battling for possession, to try and get the ball. It's creating this great new sort of jostling feel within our game." "We've completely reworked what we're calling tactical intelligence. So a lot more runs off the ball, you get a lot more time on the ball. You can look up and there's players supporting you from midfield, there's wingers overlapping, you can switch the play, players trying to run in behind, more fluidity, and a lot more options in attack." "In previous FIFA games, at times the touch would feel very perfect and that the ball was very much stuck to your foot. What we've created now is a system that looks at where the pass is coming from, the distance, the speed, it looks at the quality of the player that's receiving the pass, and what it does is create separation from the player and the ball. It's not in any way random, it makes the game more unpredictable, but predictably unpredictable." "With Kinect, obviously it's allowing you to use your voice, which really enhances our experience in terms of you not having to pause the game to make substitutions, you can make tactical changes, just through your voice," and "with the Move it's a great piece of hardware that gives you a slightly different experience... we've created a Move mode, so you can fully play the game with the Move."